Here's when it runs and what you can try out. 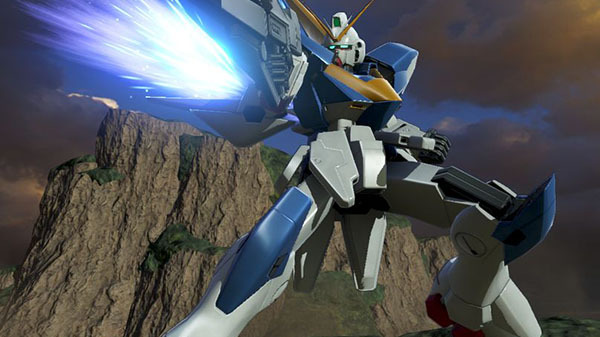 Bandai Namco has announced dates and times for the Gundam Versus open beta test in the Americas and Europe. In the Americas, the open beta will begin on September 2 at 12:00 a.m. PDT and end on September 4 at 12:00 a.m. PDT. In Europe, the open beta will begin on September 2 at 8:00 BST and end on September 4 at 8:00 BST. A PlayStation Plus membership will not be required to participate in the beta. Users will be able to download the beta application starting August 29. If you missed it, open beta start times for Southeast Asia were announced this past weekend. Gundam Versus is available now for PlayStation 4 in Japan, and will launch in the Americas, Europe, and Southeast Asia (Singapore, Malaysia, Thailand, Philippines, and Indonesia) on September 29.